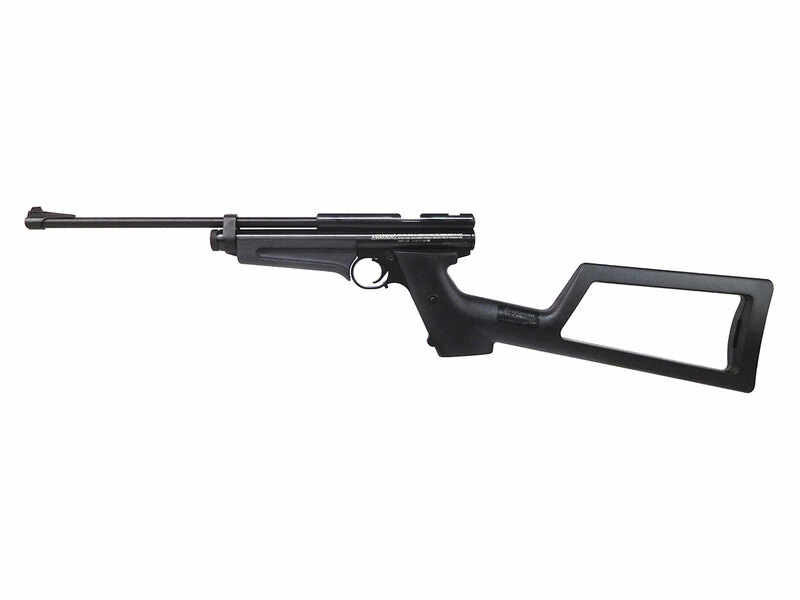 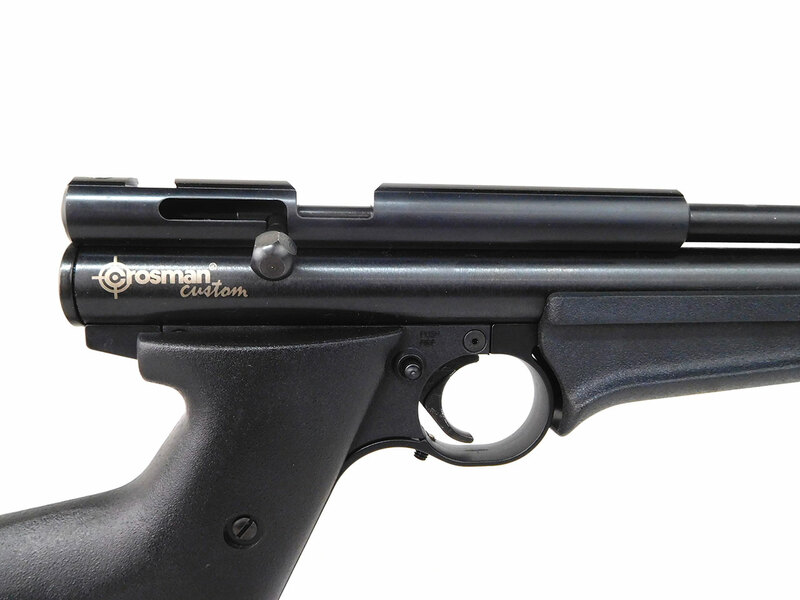 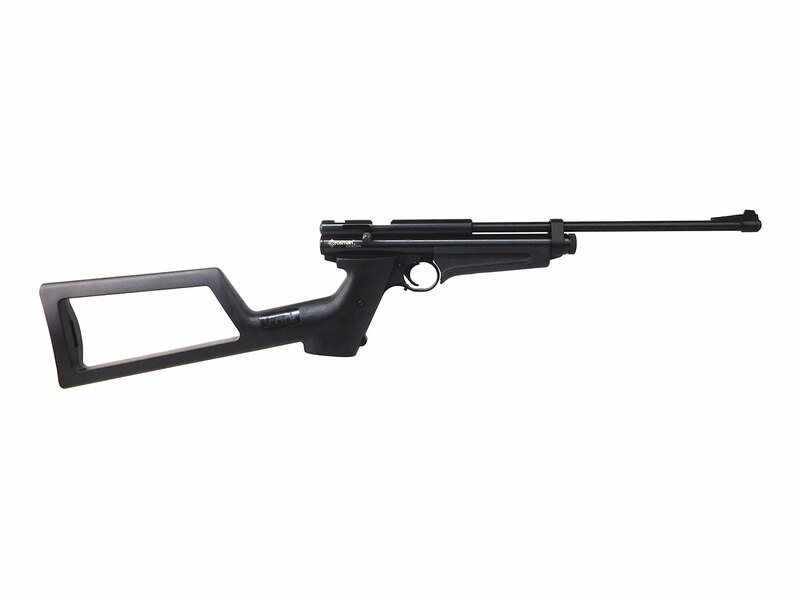 The Crosman 2400 is a bolt action, single shot, CO2 pellet pistol. 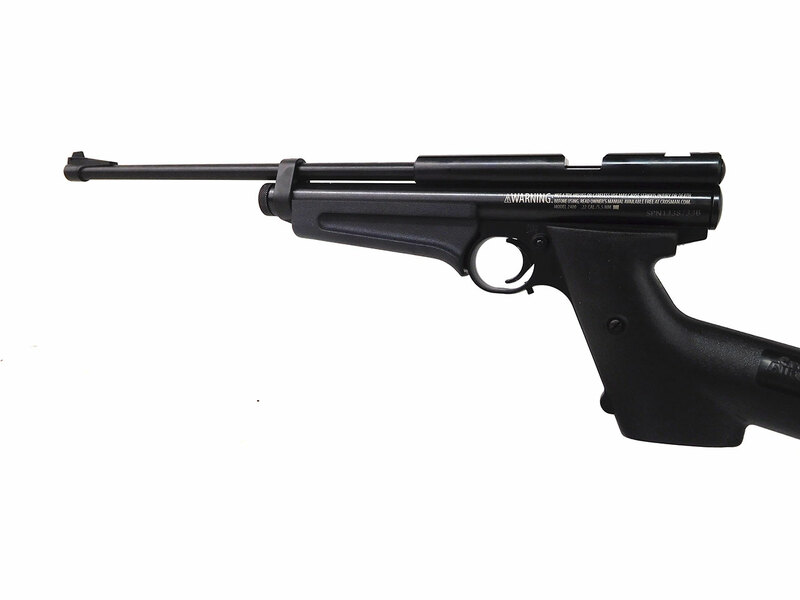 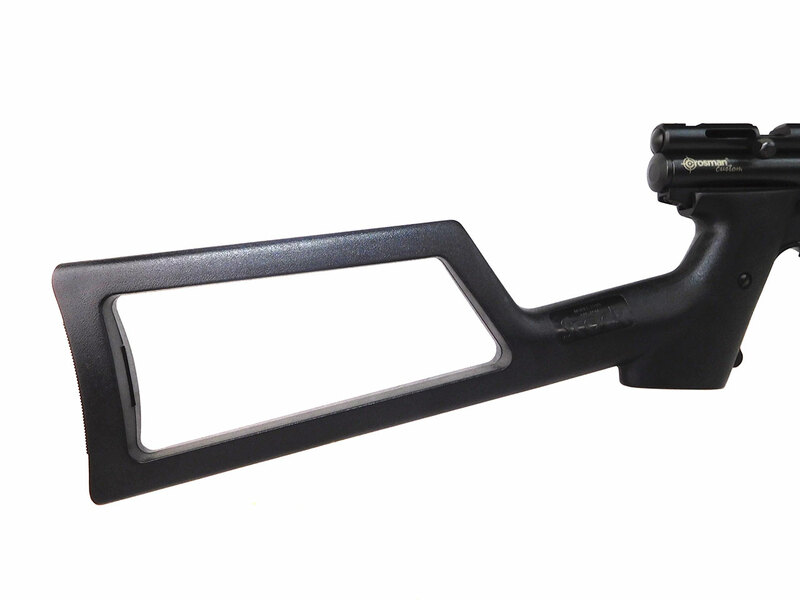 This is a Crosman Custom Shop 2400 with black synthetic shoulder stock and forearm, and metal breech. 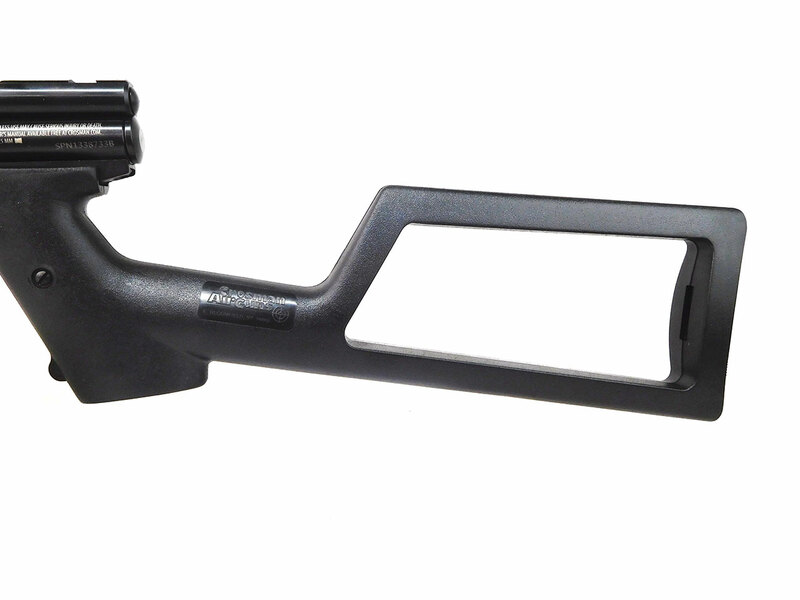 The box and literature including owner’s manual and certificate of authenticity is included. 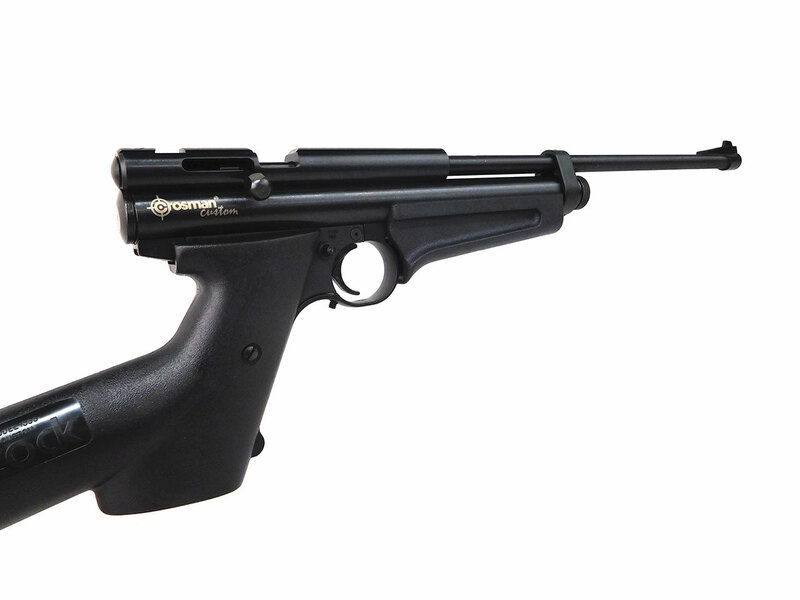 Velocity tested at around 467 fps using lead pellets.